The auspicious beasts embroidered on the rank badges are the inspiration source for our design this time. 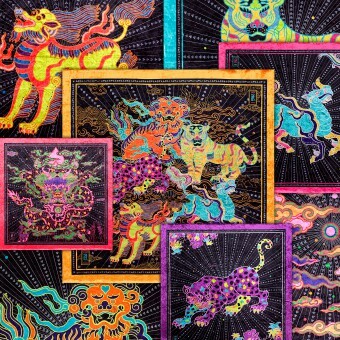 Auspicious beast totems are a symbol of Chinese royal authority, a superlative embodiment of Chinese decoration aesthetics and Chinese’s brave exploration for spiritual imagination. 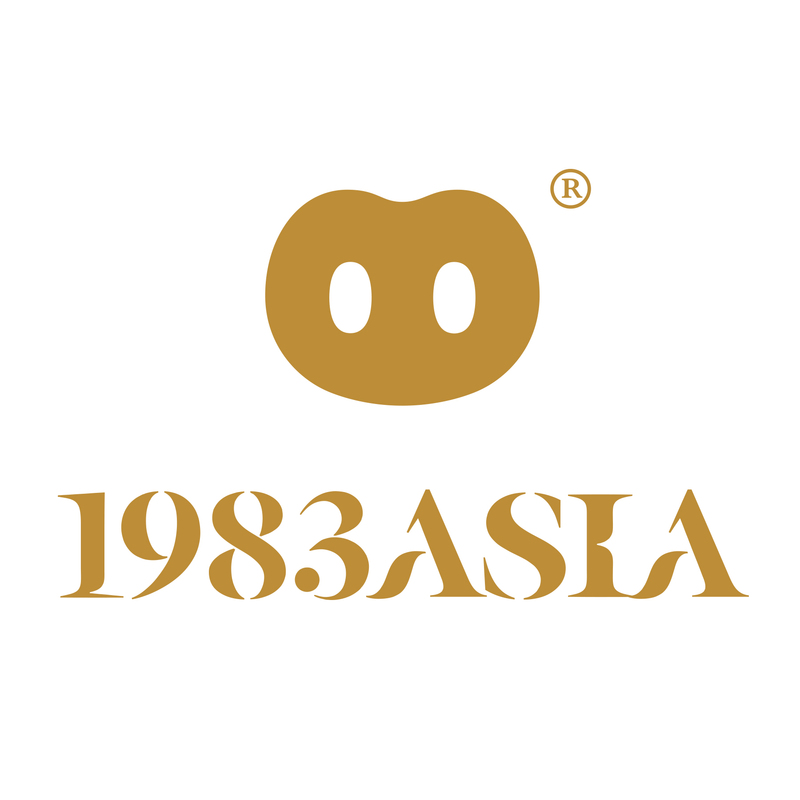 As an Asian designer, 1983ASIA condenses the endless stories about rank badge and exquisite vision into series products with modern design methods. It is a spontaneous project researched with the subject of 1983ASIA. 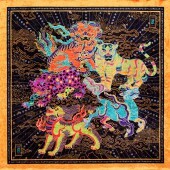 In ancient days of China, the square ornament on the front and at the back of the robes of officers, showing birds and beasts images, which were made of gold thread and colored threads were referred to as officer decoration. Birds were for civil officers, and beasts of prey were for military officers, including 9 grades for the different titles. The officer decoration was the central point of Chinese people’s totemism. Rank badge is a concentrated point for Chinese totem worship. We select the passionate and bright colors with high saturation, and 7-8 kinds of colors are available for each pattern. n terms of workmanship, Velvet material with diamond luster is selected, feeling smooth and showing different interesting colors under different light rays. Combining with the oil painting mounted with wooden frames, 15 series of products will make a harmonious and orderly home and are highly decorative. 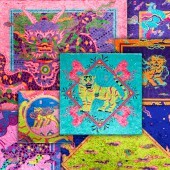 1983ASIA rearranges the pattern features of auspicious beasts on the rank badges in royal courts of Asia, draws, deconstructs and designs the ancient patterns and keeps modifying, editing and adjusting them by using PS and AI software. In order to integrate the traditional eastern totems into modern life, we are seeking breakthroughs in composition, color and material and make people view our passionate works and enjoy their own culture. Research the characteristics of Chinese traditional culture, bring the culture products to daily life with modern design methods and let more and more people enjoy our fashionable culture products and then learn about their stories. Susu Yao and Feng Liang, 2016. Shou Product Design by Susu Yao and Feng Liang is a Nominee in Textile, Fabric, Textures, Patterns and Cloth Design Category. · Click here to register today inorder to be able to view the profile and other works by Susu Yao and Feng Liang when results are announced. Shou Product Design by Susu Yao and Feng Liang is Winner in Textile, Fabric, Textures, Patterns and Cloth Design Category, 2016 - 2017. · Read the interview with designer Susu Yao and Feng Liang for design Shou here. · Press Members: Login or Register to request an exclusive interview with Susu Yao and Feng Liang. 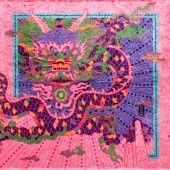 · Click here to register inorder to view the profile and other works by Susu Yao and Feng Liang. 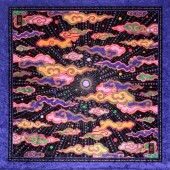 Did you like Susu Yao and Feng Liang's Textile Design Design? Did you like Shou Product Design? Help us create a global awareness for good textile design design worldwide. Show your support for Susu Yao and Feng Liang, the creator of great textile design design by gifting them a nomination ticket so that we could promote more of their great textile design designs.